As deep salmon-pink flowers mature, they become paler. The large, star-shaped blooms open completely, its petals slightly curved backwards, and brandishing a striking blend of pink and brown speckles. 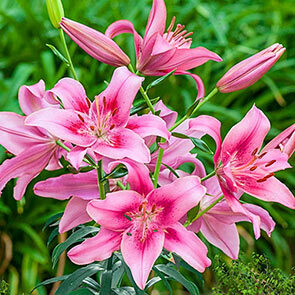 This fragrant butterfly attractor flowers before most other lilies and is a wonderful cut flower. 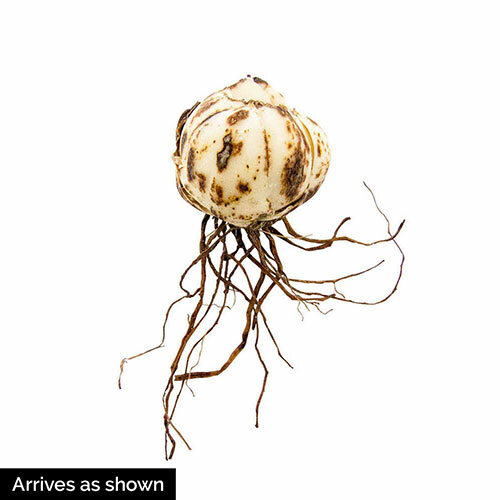 Grows and perennializes nicely in any well-drained soil. Child in Time is an AOA hybrid, which is an Asiatic lily crossed with an Oriental lily, which is then crossed with another Asiatic lily. AOA hybrids are strong, exotic-looking plants that grow tall. Flower Form Large, flowers which open up completely. Petals are slightly arched (curved backwards).